The incident comes as Saudi Arabia faces intense scrutiny over the shocking murder of journalist Jamal Khashoggi last year, which has renewed criticism of the kingdom's rights record. After announcing that Thailand "will not force her" to leave, Surachate told reporters late Monday that Qunun would be "allowed to stay" after a meeting with officials from the UN refugee agency UNHCR. 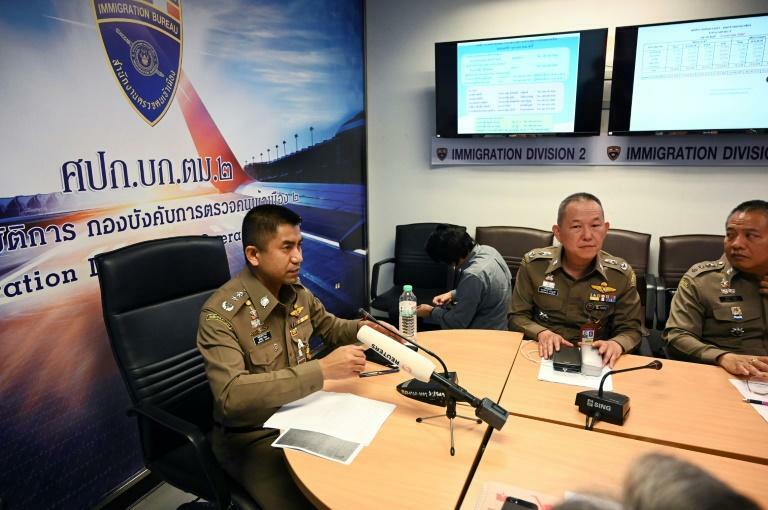 "She is under the care of the UNHCR now but we also sent Thai security to help take care (of her)," Surachate told reporters at Suvarnabhumi airport. He said Qunun had told UNHCR officials she "wants to stay in Thailand for a while while seeking asylum to a third country". The agency "will take five days to consider her status" and another five days to arrange for travel, Surachate said, adding that he would meet with Saudi diplomats on Tuesday to explain Thailand's decision. Following the announcement, a relieved Qunun tweeted that she felt safe "under UNHCR protection with the agreement of Thailand authorities", adding that her passport had been returned to her after being taken away on Sunday. UNHCR's spokesman in Geneva Babar Baloch confirmed Qunun had "left the airport to a safe place in the city" and said agency officials would interview her once she had had some rest. Surachate had told reporters earlier Monday Qunun was stopped by immigration because Saudi officials had contacted them to say she had fled her family. "Thailand is a land of smiles. We will not send anyone to die," he said. "We will take care of her as best as we can." Qunun had earlier posted a video on Twitter of her barricading her hotel room door with furniture in a bid to stop her deportation from Thailand. She said Saudi and Kuwaiti officials had taken her passport from her when she landed -- a claim backed by Phil Robertson, deputy Asia director at Human Rights Watch. 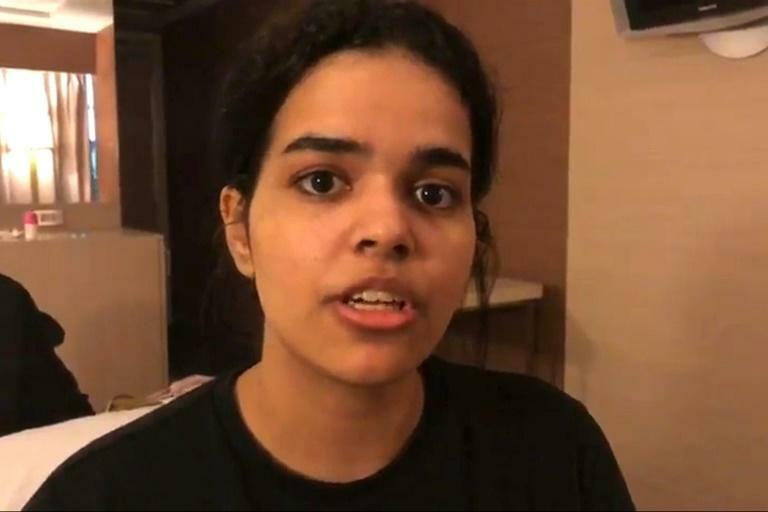 Abdulilah al-Shouaibi, charge d'affaires at the Saudi embassy in Bangkok, told Saudi-owned TV channel Khalijia that the woman's father -- a senior regional government official -- had contacted the diplomatic mission for "help" bringing her back. A Twitter statement from the Saudi embassy in Bangkok said Qunun was stopped by Thai authorities for "violating the law". If sent back, Qunun told AFP she would likely be imprisoned and was "sure 100 percent" her family would kill her. "My family is strict and locked me in a room for six months just for cutting my hair," she said. HRW's Robertson said Qunun "faces grave harm if she is forced back to Saudi Arabia". An Australian government spokesman said the claims made by Qunun "that she may be harmed if returned to Saudi Arabia are deeply concerning" and they are monitoring the case "closely". Australian embassy representatives in Bangkok have reached out to Thai authorities and the UNHCR to "seek assurances" that she will be able to access the "refugee status determination process".